Today I sent this postcard to a girl in Taiwan via Postcrossing. Her wish list on her profile said "Most famous landmark, city views of your country", so I picked this card for her - our new symbol of Tokyo. 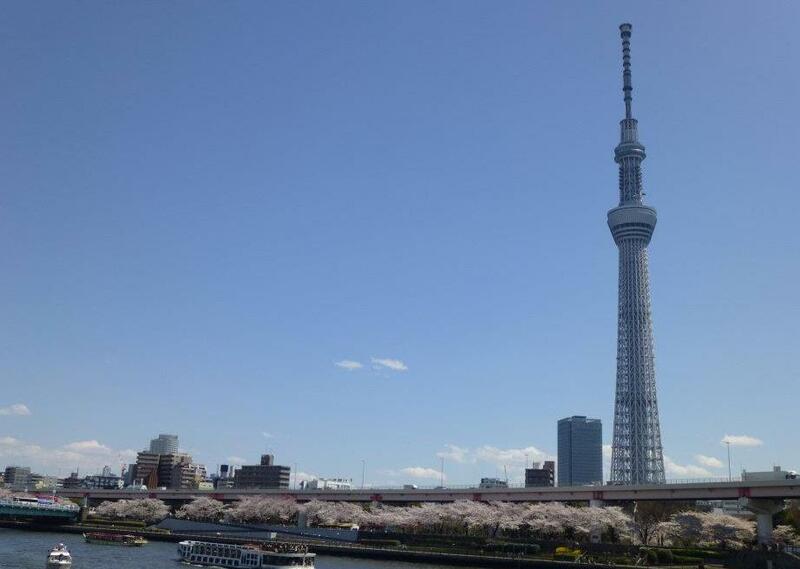 This is Tokyo Sky Tree, a new TV broadcasting tower located not too far from Asakusa, one of the popular sightseeing destinations in Tokyo. It's 634m (2080.5 feet) tall that makes it the second tallest in the world next to Burj Khalifa in Dubai. You can learn more about it in the following link. 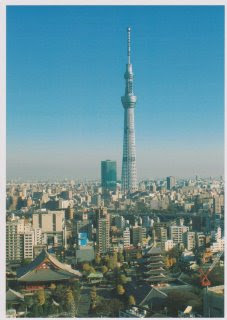 Tokyo Sky Tree will open on May 22, 2012, and lots of people have been trying to get the tickets for the observation deck. As heavy congestion is expected, only prior reservation tickets with the date and time already set are available for the first 50 days, and afterwards you can buy the ticket at the door. I'd love to see the 360-degree view of Tokyo from the observation deck, but I think I will wait until it becomes less crowded.